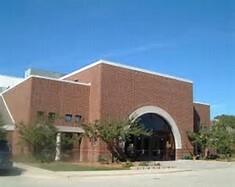 Located just 10 minutes from the Alsip Inn and adjacent to the Park District Administrative Center, the Oak Lawn Ice Arena offers year-round skating opportunities for dedicated and just-for-fun hockey players and figure skaters. The arena features an international-sized ice surface (100-x-200-ft.) with an arena divider for two areas. Comfortable seating is available for up to 1,100 spectators with a spacious viewing platform of the rink. Party rooms are available to rent for birthday parties, family gatherings or business meetings. The ice can also be privately rented. The arena also features the district’s only concession stand, serving lunch and dinner items during select hours. Other amenities include vending machines and locker rooms. For more information, please call 708-857-5173 or e-mail us aticearena@olparks.com. Bringing your team to the Oak Lawn Ice Arena, then stay with us at the Alsip Inn and save money and time with the convenience of our location.